The Washington State Legislature passed seven new laws to address homelessness and affordable housing, Crosscut. reports. While all seven pieces of legislation are worth taking stock, two of the bills can significantly help people with disabilities; they could prevent permanently disabled citizens from finding themselves homeless. Washington passed a new ban on source-of-income discrimination, according to the article. It is now illegal to deny a current, or a prospective, tenant housing due to said renter's reliance on Social Security and veterans benefits rental assistance, and Section 8 housing vouchers. Previously, the state’s Housing and Essential Needs (HEN) program gave rental assistance only to people with temporary disabilities, according to the article. If a person’s temporarily disabled status were upgraded to permanent, the recipient would lose their rental assistance. Now, a new bill, House Bill 2667 - 2017-18, expands HEN to include people with permanent disabilities, protecting such people from homelessness. Thanks to another new bill, people with disabilities will have an easier time getting their hands on medical records when applying for Supplemental Security Income (SSI) or Social Security Disability Insurance (SSDI). If an SSI or SSDI applicant wants to apply for benefits or appeal a denial, they must obtain a copy of medical records that prove their disability. Washington House Bill 1239 - 2017-18, waves a $26 fee for obtaining medical records; a cost that some low-income individuals could not cover. “If we continue to make this level of progress in next session and the one after that, that’s how Washington is going to back out of our crisis and make sure everyone has a chance to live in safe and affordable homes,” says Thomas, who hopes that the passing of new laws is just the beginning of the effort to end the crisis. Finding affordable housing can be difficult in every state and it will be interesting to follow this story line to see if other states consider such legislation. If the SSA denied your application for Supplemental Security Income (SSI), or you are applying for benefits for the first time, The Driscoll Law Corporation can help. Attorney Stephanie Merritt Driscoll can help you or a loved one appeal the SSA’s decision and get the benefits you require. Please contact our office today. If you are one of the more than 60 million Americans receiving benefits from the Social Security Administration (SSA), there is a good chance that every penny matters. 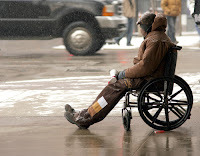 Those collecting Social Security Disability Insurance (SSDI), Supplemental Security Income (SSI), or any one of the programs offered by the SSA, often struggle to cover their expenses each month even with assistance. Many of the people collecting benefits are some of America’s most vulnerable; unfortunately, this fact has not been lost on fraudsters and individuals who would usurp the identity of another. Interestingly, the SSA says that signing up for a ‘my Social Security’ account on the organization's website could actually protect people from identity theft. The Inspector General for the Social Security Administration warns that criminals use phone calls, emails, and other methods to obtain people’s personal information; identity thieves use the information to attempt to open a ‘my Social Security’ account and then redirect a beneficiaries direct deposit benefits to a bank account they can access. Most emails from Social Security will come from a “.gov" email address. If an email address does not end in “.gov,” use caution before opening attachments or clicking on pictures or links in the email. 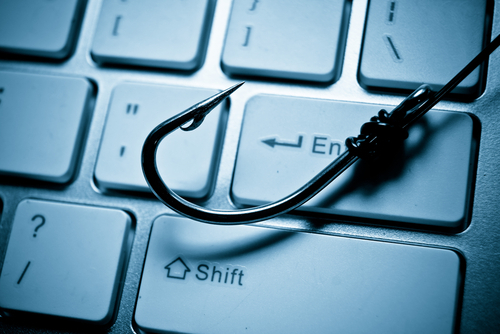 For more information about "phishing," go to OnGuard Online. The Inspector General recommends that you never provide your personal information when receiving unsolicited calls or contacts; never agree to accept pre-paid debit cards or credit cards in another person’s name; Never agree to send or wire money to an unknown person; and, always contact your local SSA office if you receive a call from a person claiming to be from SSA, and that person asks you to provide your Social Security number or other information. If you find that someone has stolen or is using your personal information to open credit accounts or for other non-SSA-related purposes, you should report that to the Federal Trade Commission at www.ftc.gov/idtheft or 1-877-ID-THEFT.